Microsoft confirmed Wednesday that users can once again search for music via Bing, and play it—legally—with the associated Xbox Music player. 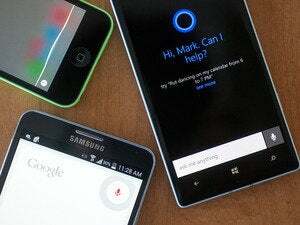 Sources close to Microsoft confirmed an EnConnected report by Microsoft MVP Marques Lyons that Microsoft has reinstated Xbox Music as a search target for Bing, whether it be within the Windows-centric Smart Search or simply via the Web. 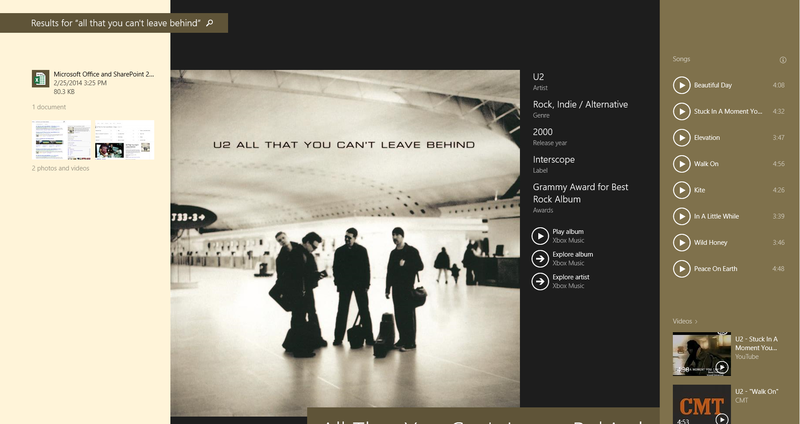 Bing's "hero art" that for U2's All That You Can't Leave Behind. Either way, the response will be a list of playable songs, as well as information about the band, if applicable. On Smart Search, the Bing search app will pull up the “hero” art, generally a large image of the album cover in question or a photo of the band. On Smart Search, you’ll also see a list of songs that opens the Xbox Music app. 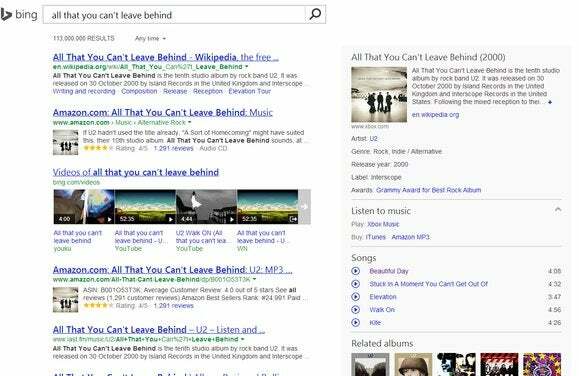 A Bing Web search will do the same, although you’ll need to click the small “play” arrow icon next to the song. 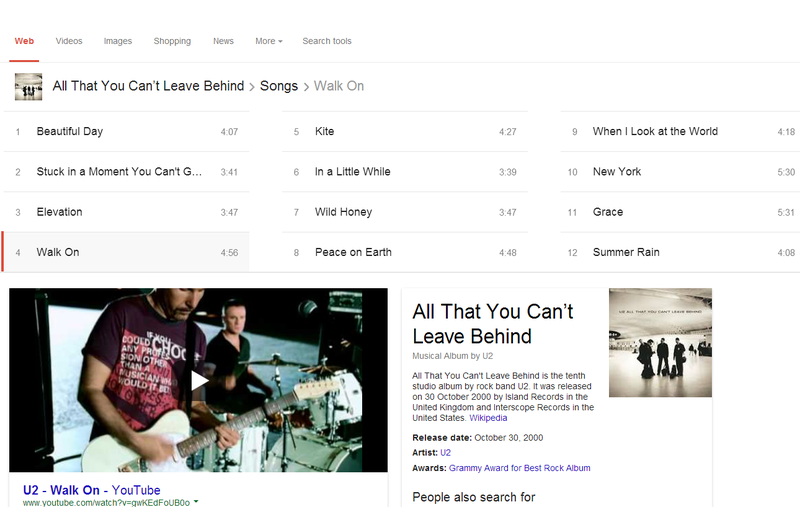 A Google search for "U2 all that you can't leave behind" generates this page if you click through. According to the terms of service for Xbox Music, you can stream a few hours of music per month before you’ll have to pay for an Xbox Music Pass, which offers access to 18 million tracks for $10 per month. 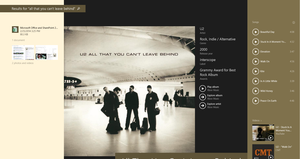 Previously Microsoft integrated Xbox Music into Smart Search, but as Lyons noted, that feature was discontinued. But Microsoft still sees Bing/Smart Search/Xbox Music integration as an important manifestation of the “One Microsoft” approach, where services migrate across various products, we’re told. Those of you who are passionate about music may find this new capability redundant. But for casual listeners or cheapskates, the ability to search out a hot new song is pretty compelling. What will be interesting to see is whether Microsoft uses this elsewhere in its media properties, such as MSN Music, for example, or via deals with music magazines to lure new users onto its service.